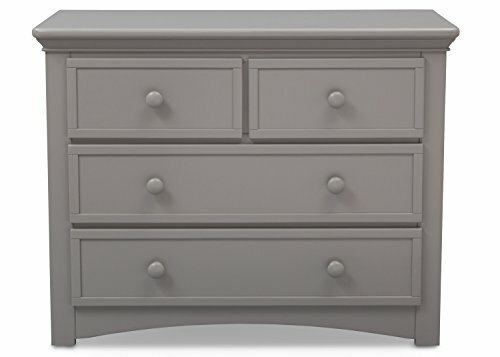 Equipped with a bounty of storage space, this 4 Drawer Dresser from Serta offers timeless appeal. Fashioned with elegant arch detailing at the bottom, this sturdy dresser is outfitted with ball bearing, side mounted drawer glides with safety stops, which prevent the drawers from falling out. The wooden knobs are easy to grasp, making it the perfect addition in a child's room, yet the sophisticated styling works in adult spaces, too.